Physical deliveries of gold at the Tokyo Commodity Exchange, meanwhile, have reached its highest levels since 2007 both in February and in December. 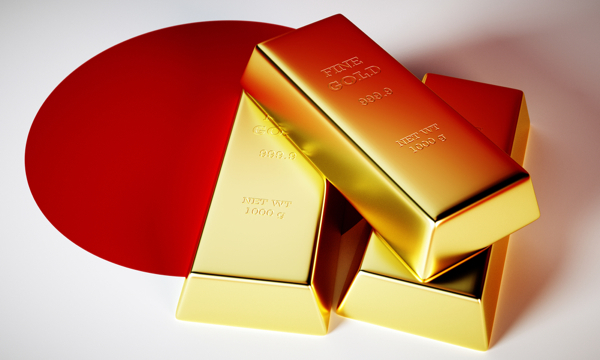 Japanese investors are reportedly hoarding gold bars, aiming for short-term profits, as the country braces for its first sales tax hike in 17 years, seen as crucial for bringing down the massive national debt. According to the article, customers have lined up for hours this week at some renown precious metals retailers, such as Tanaka Kikinzoku Jewellery, which has seen its sales jump 530% so far this month, compared to the same period last year. Physical deliveries of gold at the Tokyo Commodity Exchange, meanwhile, have reached its highest levels since 2007 both in February and in December, reports FT.com. The market also recorded substantial delivery surges before the introduction of tax consumption in 1989, and then again when the rate was increased from 3% to 5% in 1997. Analysts worry the upcoming tax hike may have similar effects to what happened then, deterring consumers and foreshadowing a cycle of falling prices. However other factors, including the Asian financial crisis, also weighed on Japan’s economy, which fell into recession not too long afterwards.